This entry was posted in Biography, Book Reviews, Culture, Life, Music, New York City and tagged Leonard Cohen, New York City, Sailing, sailors, Sea, Seth Rogovoy, Silvie Simmons. Bookmark the permalink. Being from Canada, Leonard Cohen is an icon here. All of his music has so much depth and honesty. I’ve seen him in concert twice – once in the early 90’s when “The Future” album was released, and then with my wife in 2013 when he was on his final tour. That evening I can say now was truly transcendental. He was on stage for at least 3 hours which is so amazing and generous considering his age at the time. One of the things I recall from his CBC interviews and his concert monologues is how humble he was. I am sure you’ve heard his final album that was released after his death, and it is probably so especially meaningful for you Johna, also considering the passing of Vladimir last year. I really enjoyed this post and the photo too. It brought back good memories. 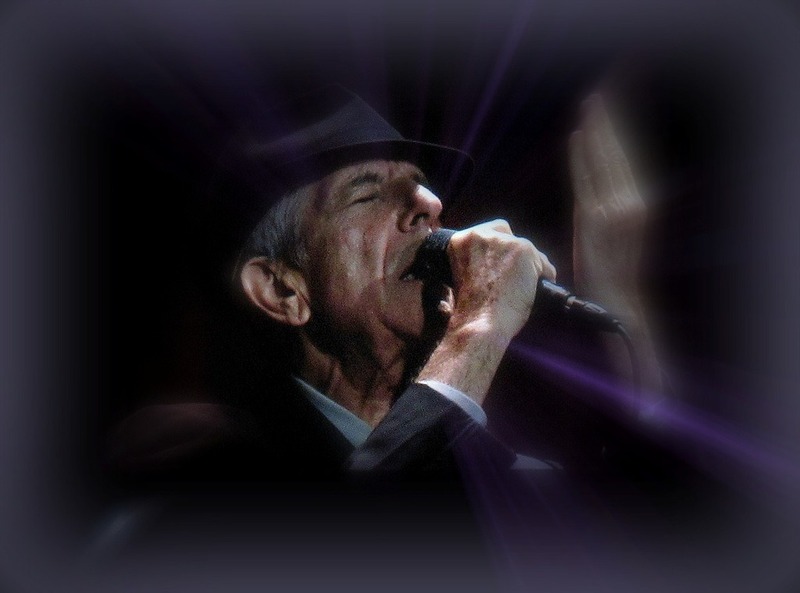 (I am going to try to copy a photo I took of Leonard Cohen in that concert – not sure if it will work) …. Bruce, that is an amazing photo and you are lucky to have it! Wish I could have seen one of those concerts. He really put everything he had into them… and yes, out of a spirit of humility and generosity. He was a great Canadian. And a great man. Jonha, Enjoying your writing and it keeps getting better. thank you for sharing. Jack, thanks for reading, and posting. I hope to see you one day on the Douro! I’m another fan of Cohen and so pleased to read your Post. Maybe it will attract more people to his work and grow the fan base. Thanks for reading and posting! I think he is finally getting the recognition he deserves. Amusingly, I first learned about him by reading Patricia Harmon’s midwife memoir (she’s written two, not sure which one it was). There is an enormous Cohen retrospective at the Museum of Contemporary Art in Montreal. We have yet to see it but is getting rave reviews. Lots of music. Hmm! I suspect it is this one: https://macm.org/en/exhibitions/. Says the show will run through September this year… maybe I could make it up this summer! Soo…. my travel is tentatively booked for Easter weekend. I’ll miss the concerts (all sold out) but will look forward to the art.. and to visiting Montreal!!! Leonard Cohen was amazing. This is a very beautiful post, Johna. Thank you, Lois! And thank you for posting! “Keep discarding the slogans”. Words to live by, from a dying man! Johna, you’re such a terrific write. I’ve loved Leonard Cohen for years but did not learn about his life, other than a few odd details, so this made very interesting reading. The notion of the absence of casual is an interesting one in these times! Thank you! I highly recommend the biography I mentioned, the one by Sylvie Simmons (not the other one). And yes, the “absence of casual” makes everything coalesce. Not my observation, as noted, but it struck me, as well.